Okay back to the topic, when we got to know that they're going to stay at Syahir's house, another two of us wanted to tag along with them.. I don't want to be left out but my father was always the biggest barrier.. I gathered my courage and immediately called him, seeking for his permission..
" Pa, Anis nak pergi Terengganu lepas exam ni boleh..?" "Kau nak pergi untuk apa..? Holiday..?" "Ha'ah.. Jalan-jalan and tidur rumah syahir.. Boleh pa..?" "Hmm.. Pergi la.. Nanti kirim salam kat family Syahir..."
Finally..! This would be the first vacation with the mates, after 2 and a half years living together and I can't deny that I'm overly excited for this.. As we're eager for this, we can't go together as something came up in the middle, so only Syahir and the first two girls would be going to Terengganu first and the others would only catch up with them later, 2 days after their arrival..
As another four of us would be joining them later, we decided to buy the bus tickets a bit later and somehow, the thought of going there by air crossed their mind and they asked me to check the flight tickets, just in case it's affordable for us. 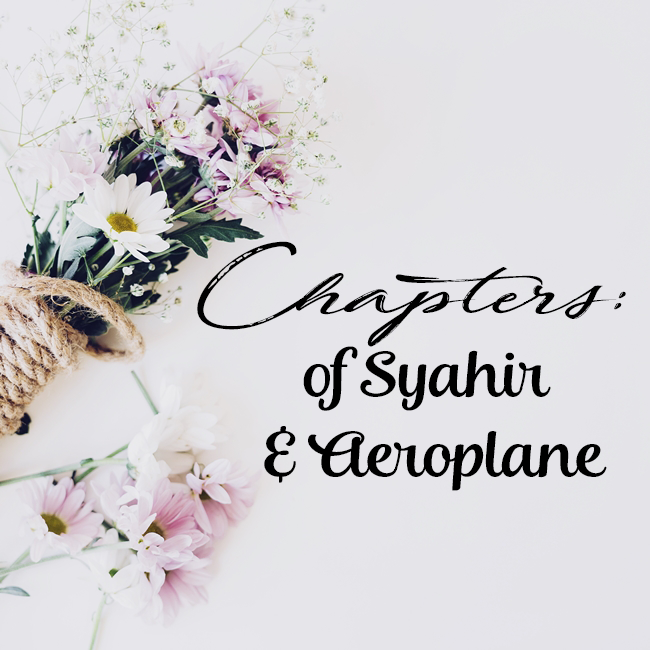 "Weh, kalau naik bas 8 jam.. Naik kapal terbang sejam.. Jauh beza masa tu.."
"Haa.. macam menarik je naik flight.. Zana, tengok la ticket kapal terbang berapa.. Mana tau murah.."
And both of my friends looked at each other blankly and suddenly burst into laughter..
"Zana, kita nak pergi Terengganu je.. Bukan nak pergi korea tau..!" "Mana la Zana tau.. Zana tak pernah naik aeroplane..!" happy holiday anis. makang kepok dan nasi dagang byk2 tau. Thanks kak.. haha.. Kita makan kepok je.. Nasi dagang tak minat.. Which name do you prefer to be called anyway? hahahhahaha.. I prefer to be called Anis compared to Zana but then I'm getting used to that name now.. and yup, you get it right.. haha.. Enjoy life when you're still young you will live a life of no regrets in later days. I am and will always enjoying them.. hee.. Thanks anyways..
Zana, my salam for Syahir. Alahai.. Comelya jawapan dia.. hehehe..
Akak dulu pun camtu gak.. Ingatkan tiap kali naik kapal terbang kena ada pasport.. hehehe.. Sebab selalu naik kereta je kan gerak..
hahaha.. syahir nama dia sweet.. Anis Syahirah Rusyda.. hehe..
Anis, welcome home. Haha. I tot first Syahir is a guy and my mind be like, oh is Anis is getting married? Woah woah. hahahahah... The part that I'm getting married cracks me up.. hahahah.. Insya-Allah will write about it soon..